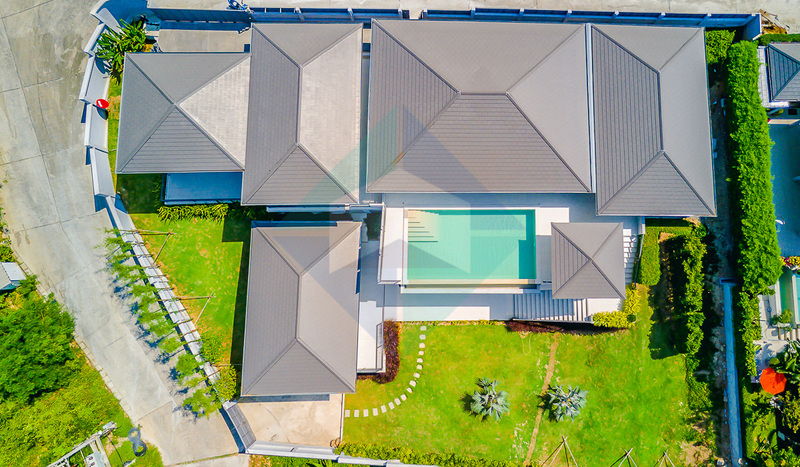 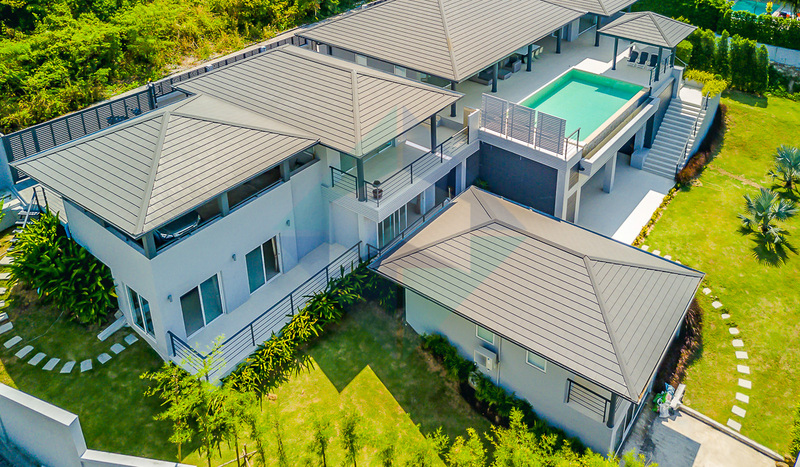 This Modern Villa is a nice conception with big swimming pool and is located in the heart of Bophut. 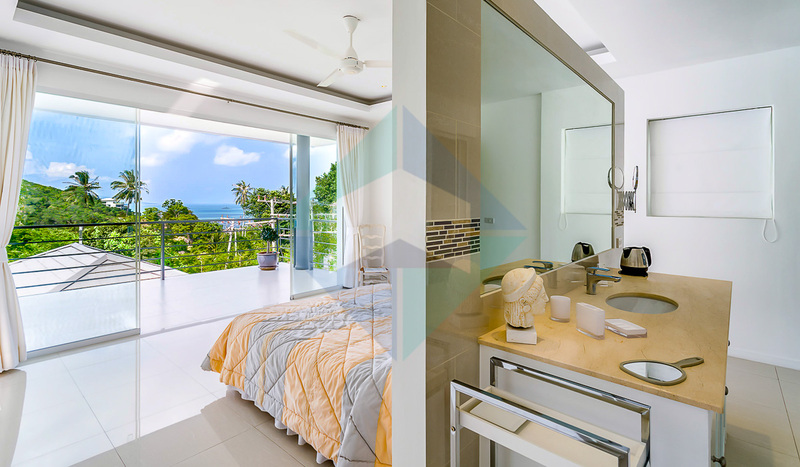 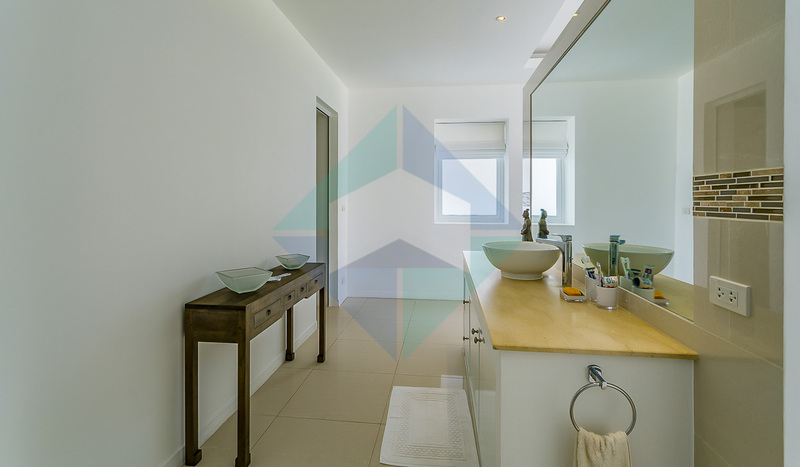 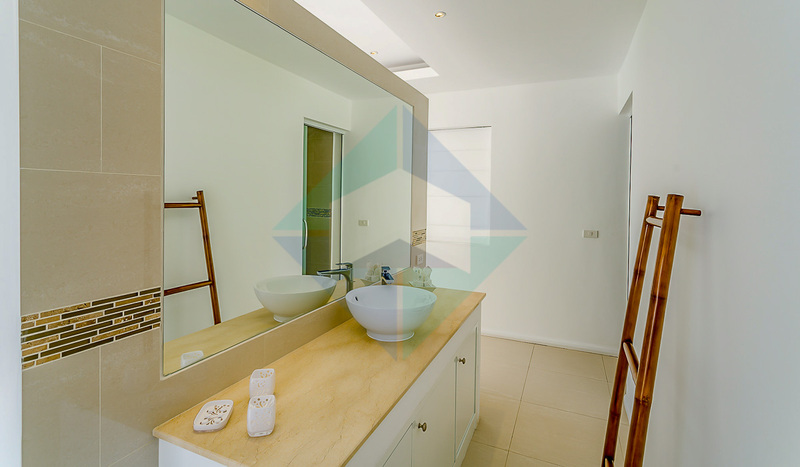 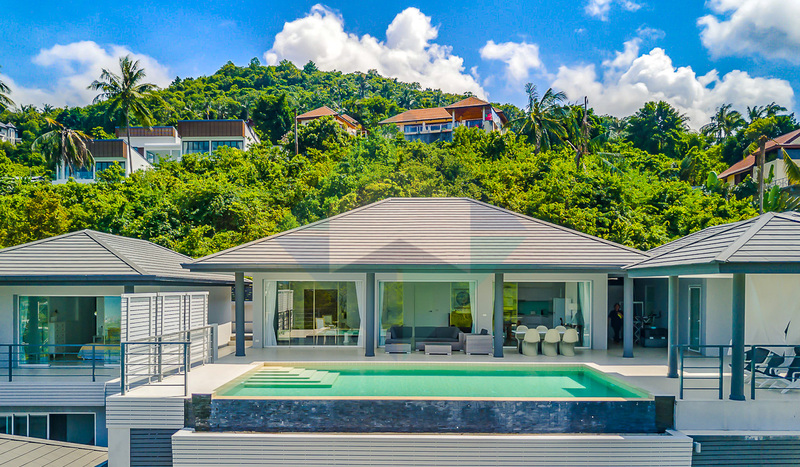 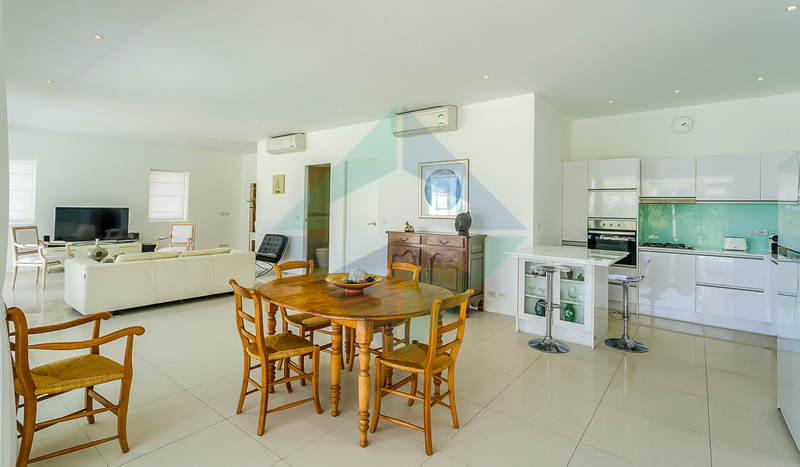 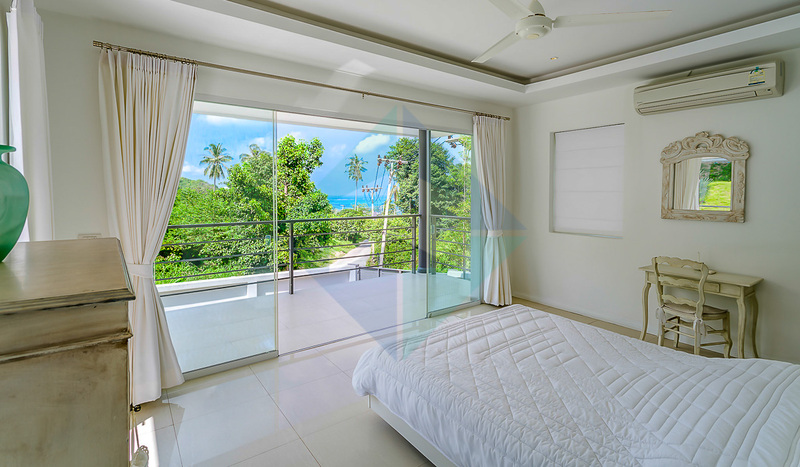 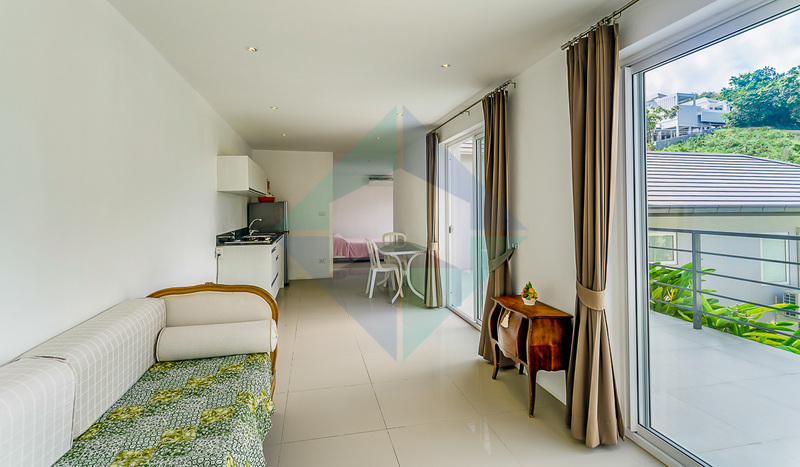 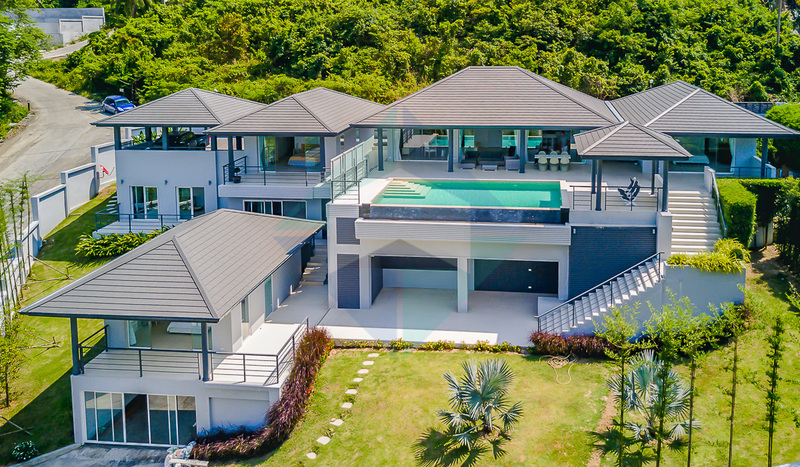 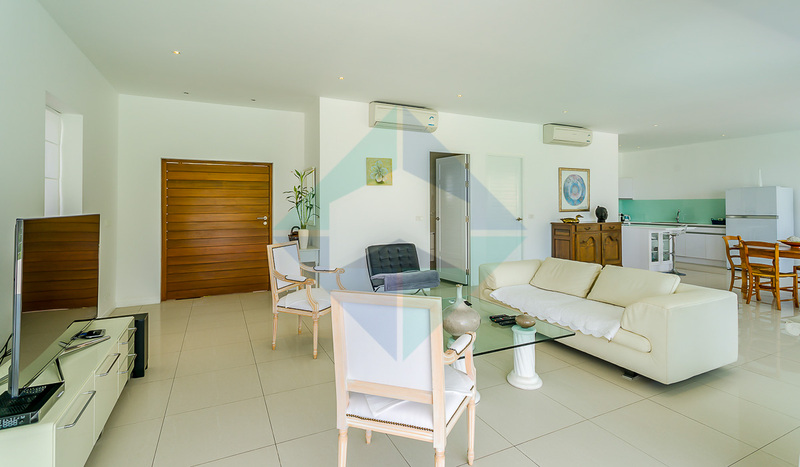 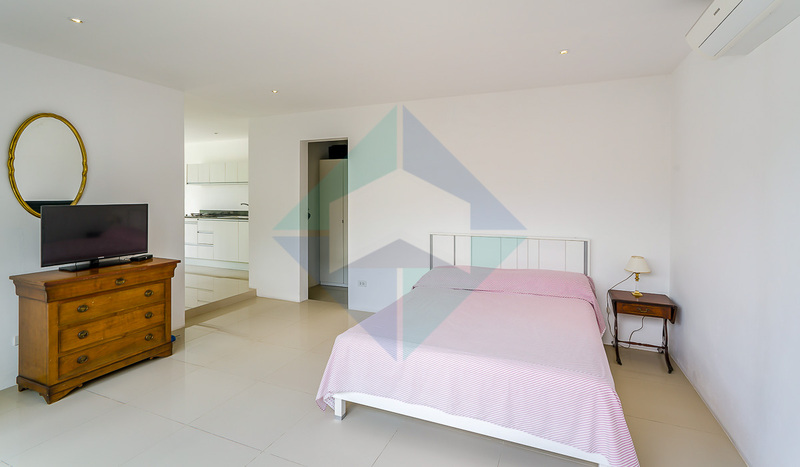 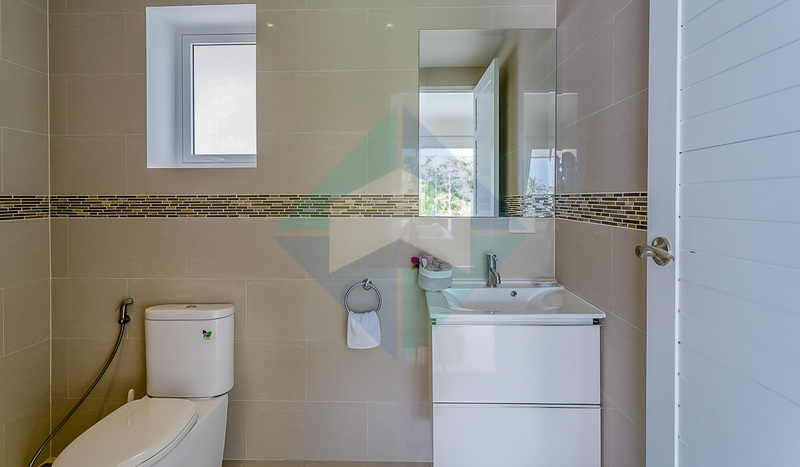 This modern villa is a 5 bedrooms, 5 bathrooms located in the heart of Bophut Hills. 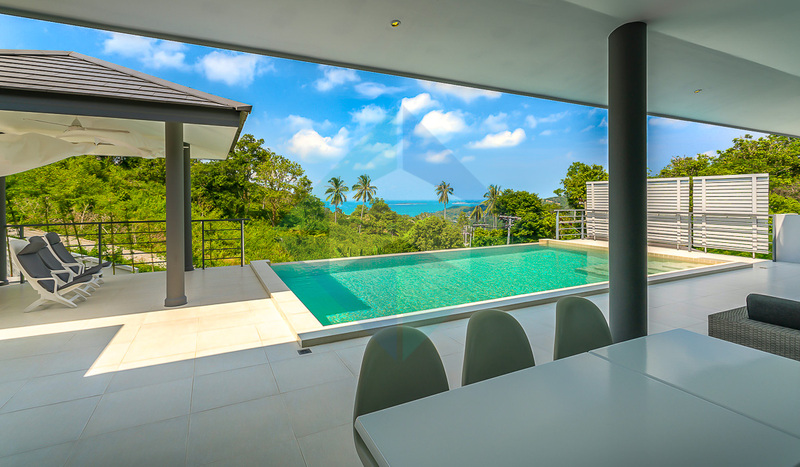 A large swimming pool of 9×5 meters faces a sea view surrounded by a spacious terrace. 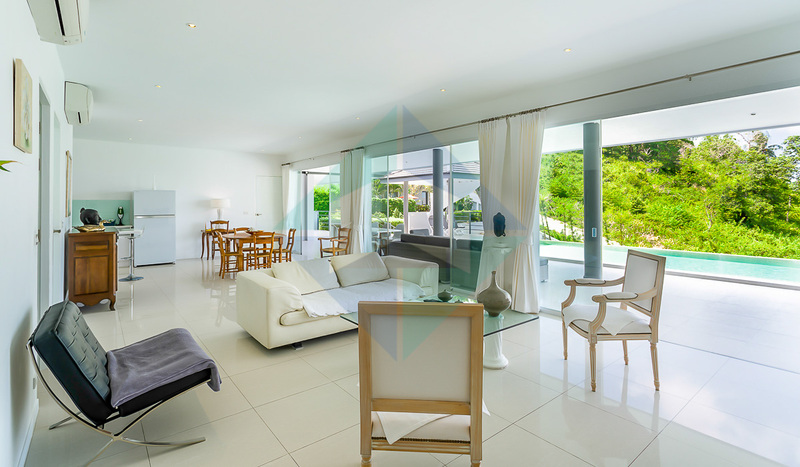 This residence is of an incredible quality of construction and has a very interesting design. 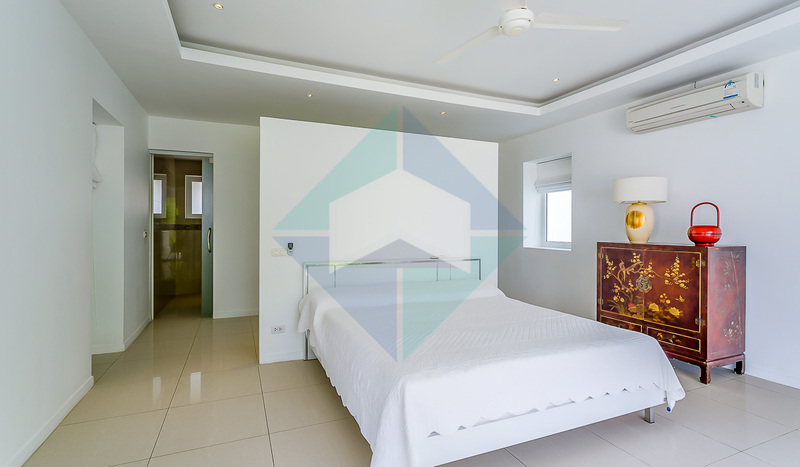 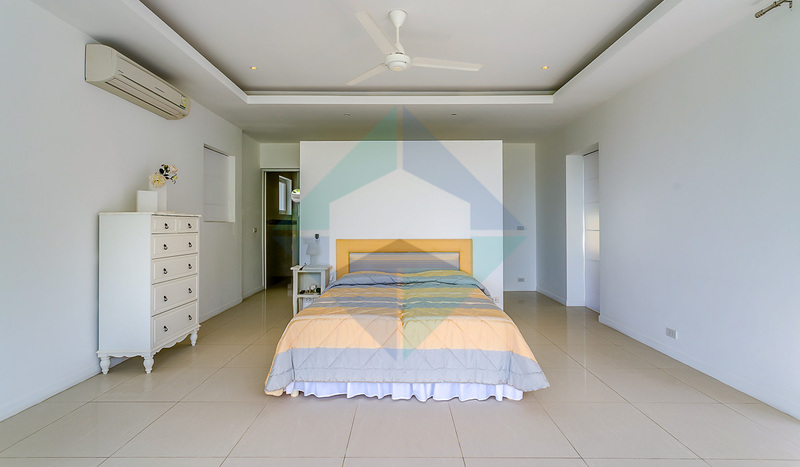 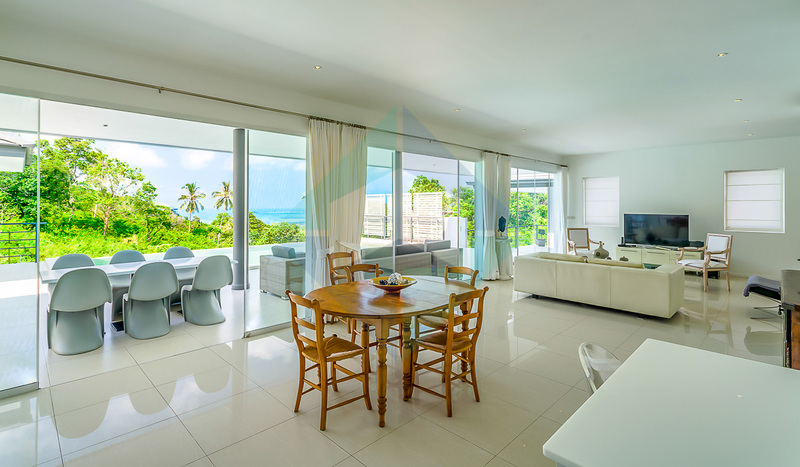 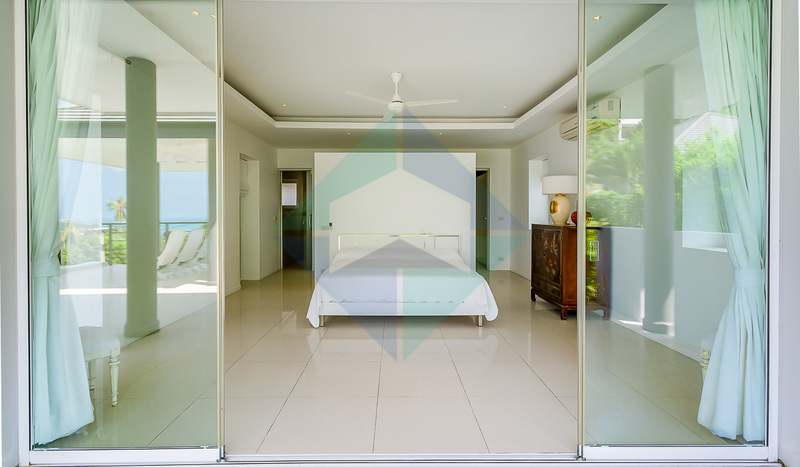 Each room has its own independence which makes this villa perfect for a family. 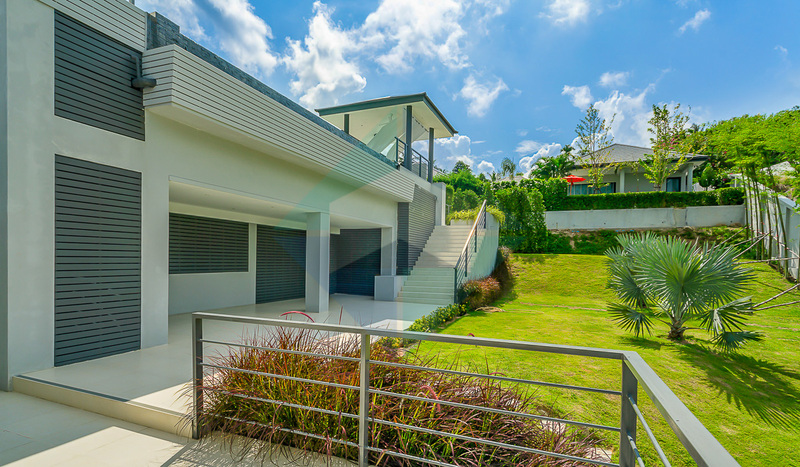 The garden of this home is beautiful and it is totally fenced. 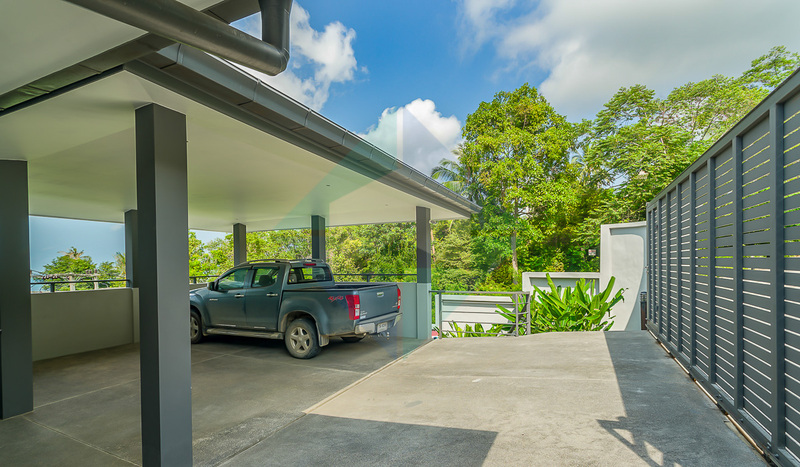 Furthermore, this house has a big cover parking for at least 3 cars.